When cleaning your leather, you don’t always need a brush to clean the surface. A lot of times, scuffs and dirt can be cleaned off of the leather with a soft microfiber cloth or towel. Because leather is a very soft surface, you don’t want to take a brush to it every time something adheres to it. You don’t want to be over cleaning the leather, especially with a brush. However, there will be times when a brush is needed to get something sticky or gooey off of the seat. But before you use a brush, make sure you do your best to remove whatever is stuck on the leather with a microfiber cloth. When it doesn’t remove from the leather, reach for a non-metallic or plastic fiber brush. A horsehair brush also works well. When you do use a brush, be sure you’re not overusing it. If you do overuse it, the leather will begin to break down, showing wear and tear. To clean the seams of your leather, the best to tool to reach for is a tooth brush, or a small detail brush. A detail brush is going to be a bit more expensive than a toothbrush, but both will get the job done. To get the seams cleaned, use whichever brush you choose with some water or organic cleaning solution. Spot cleaning is great. Keeping your leather interior clean can be easy when you spot clean regularly. When compared to a full detail, spot cleaning is easier on the seats, especially if you have kids. Keeping up with the mess is much better for the health and longevity of the leather. Just remember, if you’re cleaning the leather regularly, you must always use a conditioner! To get more tips, contact us! We’re more than happy to give you additional leather cleaning tips. 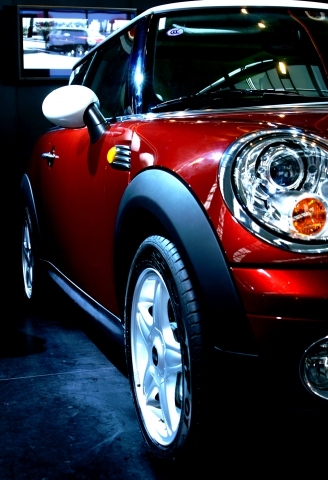 Let the MINI service experts in Denver give you the assistance and advice you need. 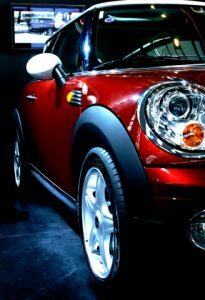 Feel free to reach out to us online today if you have any further questions or concerns about the health of your MINI’s leather.